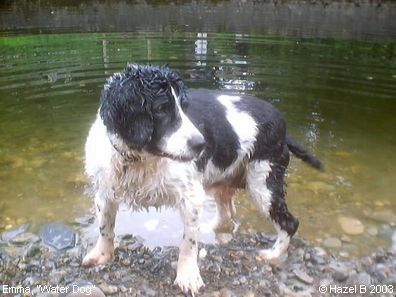 Introducing “Emma” - cherished family pet who loved to accompany her family walking and fishing. Emma clearly loved a swim, or paddle! Get out of her way if you don't want to get wet, as any minute now she'll be giving herself a good shake! 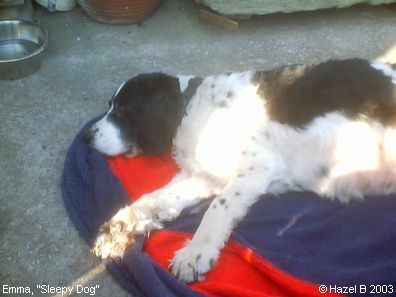 Here is Emma dreaming of her long and happy life, but ready to take her place in that Great Kennel in the Sky. 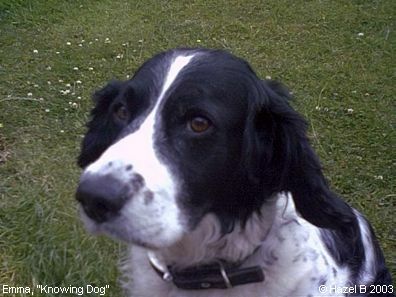 Sadly Emma departed this life on Good Friday 2003, the day after this photo was taken. She would have been aged 15 in June, and she is greatly missed.